It was one of those more-than-hectic days. Erin Holley and her husband were building a new house and dealing with a newborn along with their 4-year-old daughter. “The baby and the move came all at the same time,” said Holley, who lives in Charleston, S.C.
“Last summer is a blur of storage units and moving into the new house and nursing the baby.” He didn’t sleep well. “I was exhausted and delirious,” she said. A family trip to the park sounded like just the break they needed. “We were moving things from one storage unit to the next. At some point we both thought we had moved the baby to the first car,” Holley remembered. Two kids — two car seats. One facing forward, one facing back, with a high back that protects the infant in a crash, but makes him invisible to anyone in the front. Holley’s moment of terror did not end in tragedy, but on average, 37 kids left in cars die of hyperthermia in the United States every year. 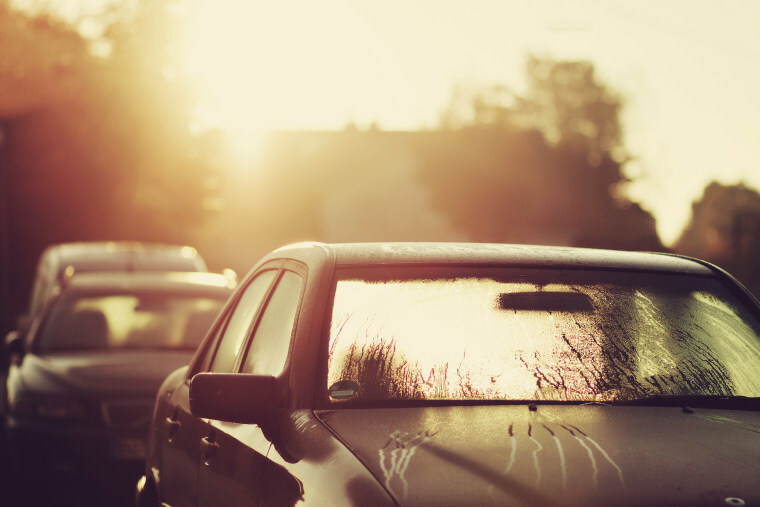 A new study from Arizona State University and the University of California San Diego quantifies just how long it takes for cars to reach killer temperatures in either the sun or the shade. It isn’t long on a hot summer day. The team tested six cars, including two sedans, two economy cars and two minivans. Left in the sun on a 100-degree day in Arizona, it took just an hour for the interior temperature to hit 116 degrees. Dashboards heated up to a stinging 157 degrees and seats hit 123 degrees in that time. The shade wasn’t much better. Interior temperatures reached 100 degrees after one hour and seats were 105 degrees. “These tests replicated what might happen during a shopping trip,” said Nancy Selover, an Arizona State University climatologist and research professor. Holley felt sick and panicked when she realized her infant son was not in his car seat. “You read the statistics about how fast it happens. At that point it had probably been about 10 minutes,” she said. They raced back, calling paramedics on the way to meet them. Luckily, the baby was OK. “The car was still cool and our son was still sound asleep quietly. The paramedics arrived right behind us. They checked his vitals. They should have checked ours,” she said. Had it not been for her quick reaction time, all may not have been well. Heatstroke starts to cause damage when a child’s body temperature rises above 104 degrees. Selover’s team calculated that a 2-year-old child left in any of the cars in their study would get that hot in an hour in the sun, and within two hours in the shade. Often, parents whose children die after being left in cars are charged with manslaughter or prosecuted for neglect. But Gene Brewer, an ASU associate professor of psychology who studies memory, says it’s very easy to become distracted. Janette Fennell, president and founder of the car safety group Kids and Cars, agrees. “If it was useful to charge parents, I think these cases might have ended. What people don’t understand is this has everything to do with failure of memory. It’s not a failure of love,” she said. That’s why Holley has decided to go public with her story. “We were never going to tell a living soul that this happened to us,” she said. “Both our children go to a daycare where our son was in a classroom with a little boy that was 10 days younger than him, and his dad recently drove to work without dropping him off,” Holley said. The baby died, strapped into a rear-facing carseat. She sobs as she remembers the story. “It should not be possible that this could happen. We are too technologically advanced to have this kind of thing be possible,” Holley said. Fennell’s website, KidsAndCars.org, shares stories of children who have died in hot cars and has a page devoted to advice on how to prevent such a tragedy. Her group has helped lobby for legislation requiring back-up cameras and interior trunk releases in cars. Now the organization is pressing for federal legislation requiring car seat alerts in all new vehicles, so that babies are never left behind by mistake. Two similar bills are being wrapped into driverless car legislation in the House and Senate. “You can’t buy a car today that doesn’t automatically turn off your headlights or remind you to turn off your headlights. Who decided it’s more important to not have a dead car battery than have a dead baby?” Fennell asked. In the meantime, her site offers ways to help lower the odds that a child will be forgotten in the back seat of a car. Get in the habit of always opening the back door to check the back seat before leaving your vehicle. Put something you'll need like your cell phone, handbag, employee ID or brief case, etc., in the back seat so that you have to open the back door to retrieve that item every time you park. Keep a large stuffed animal in the child's car seat. When the child is placed in the car seat, place the stuffed animal in the front passenger seat. It's a visual reminder that the child is in the back seat. Make sure you have a strict policy in place with your childcare provider about daycare drop‐off. Everyone involved in the care of your child should always be aware of their whereabouts. Holley is looking forward to seeing cars equipped with fail-safes to make it impossible to forget a child. “I have purchased a gorgeous, beautiful minivan that has any technology that a parent could want. And it’s not ok that it doesn’t have the technology to prevent this,” she said.